A classic 2.4 mile swim, 112 mile cycle and full marathon run. The Lakesman Triathlon is designed to appeal to both the experienced or novice endurance athlete. The all road course avoids mountain passes and fells to keep elevation to a minimum. The race is based in Keswick, with a superb transition area at The Theatre by the Lake. 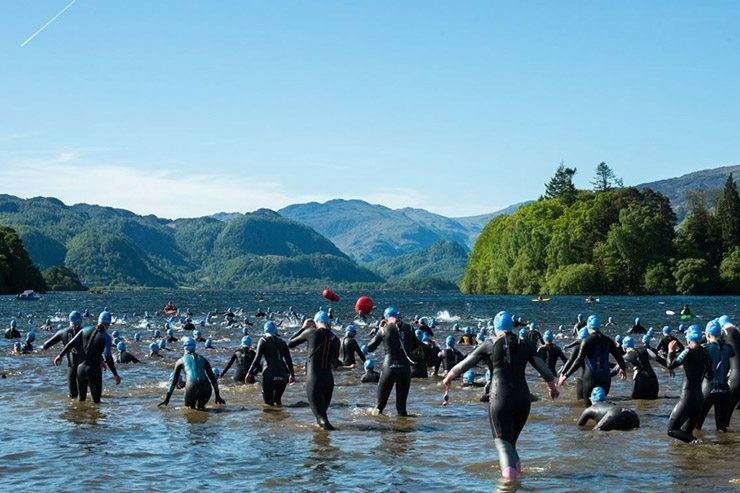 The swim will be held in the crystal clear waters of Derwentwater, generally regarded on the Lake Districts most scenic lakes. The bike route makes its way to the west coast of Cumbria where competitors get to experience a side of the lakes often unvisited by tourists, with mountains on one side and the sea on the other. Book accommodation in Keswick for The Lakesman Triathlon 2019.